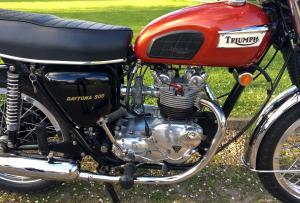 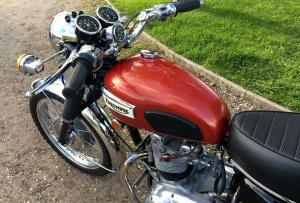 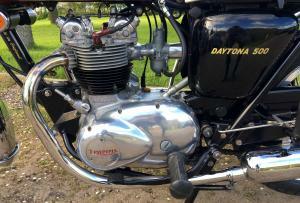 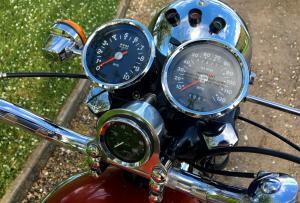 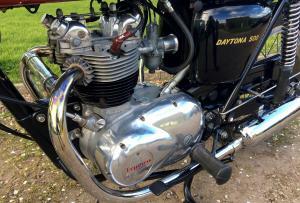 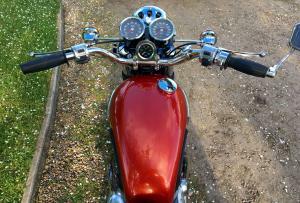 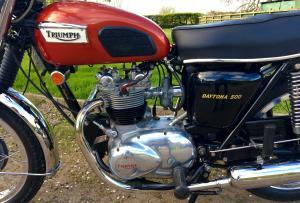 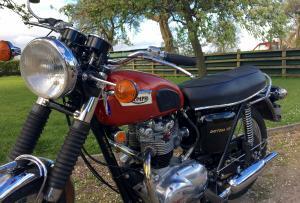 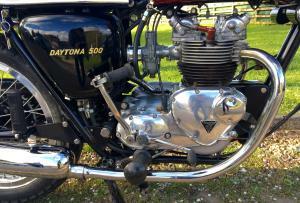 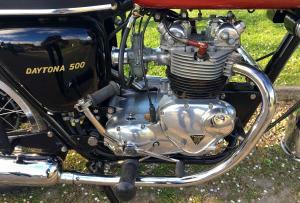 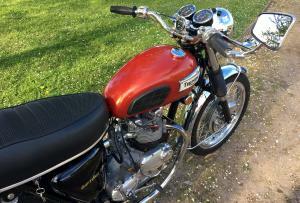 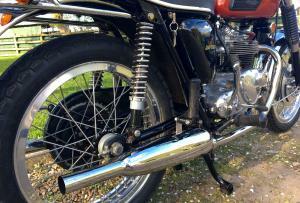 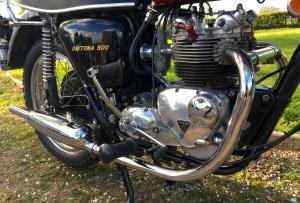 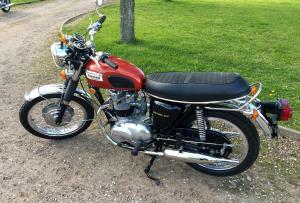 Triumph Daytona T100R 1973 500cc. 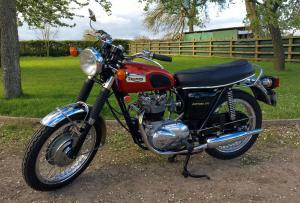 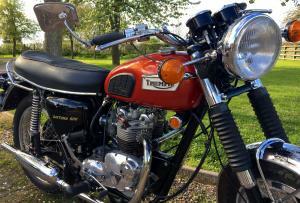 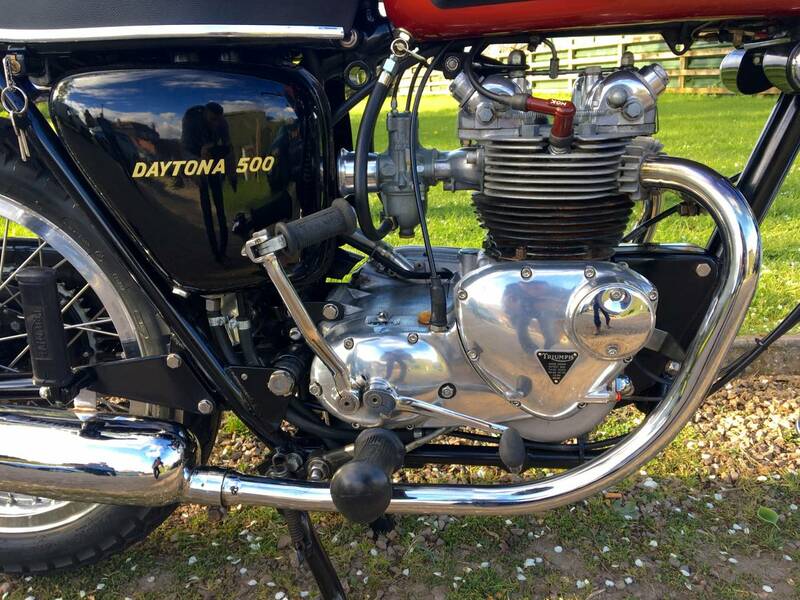 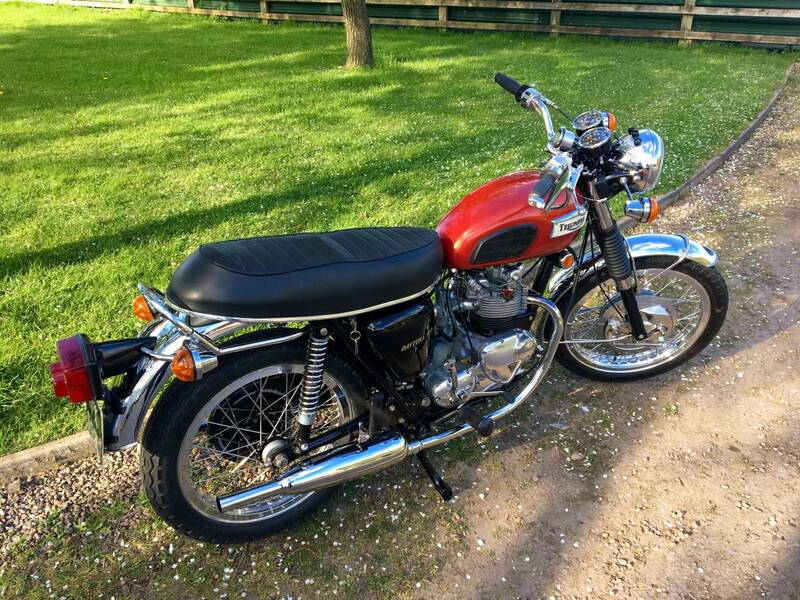 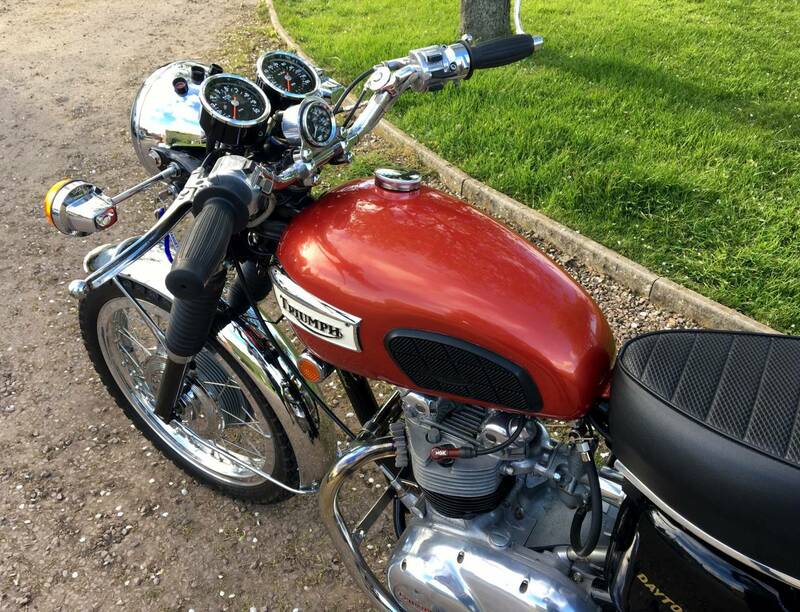 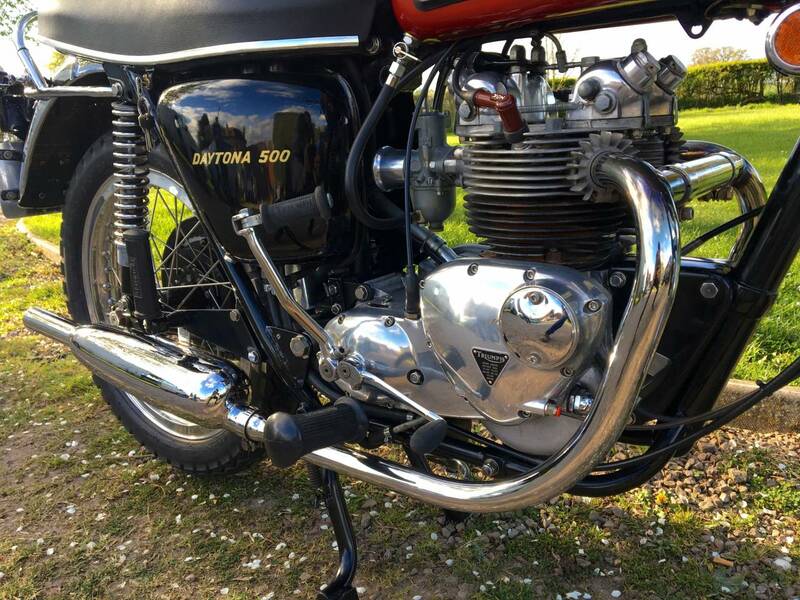 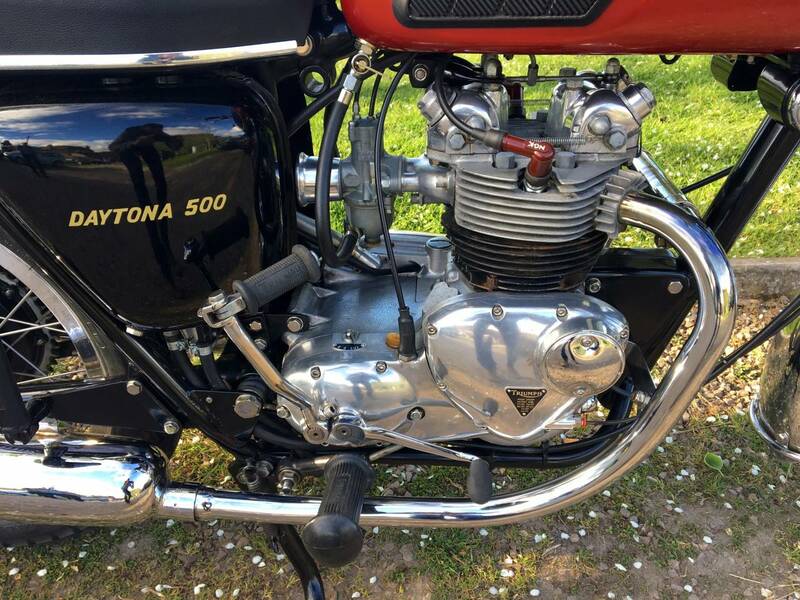 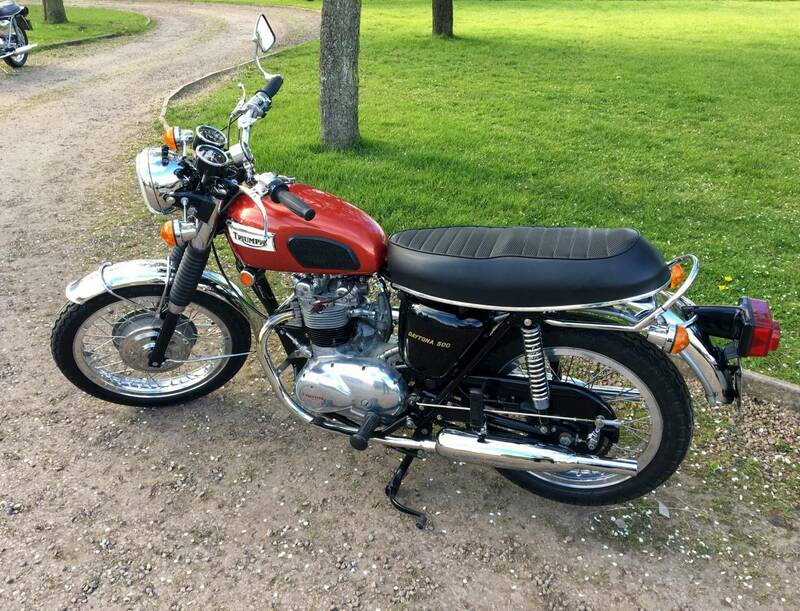 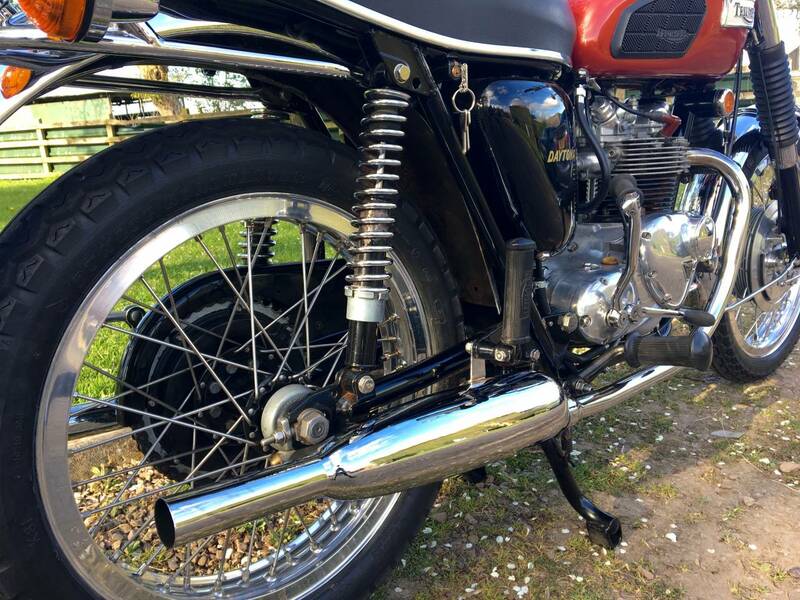 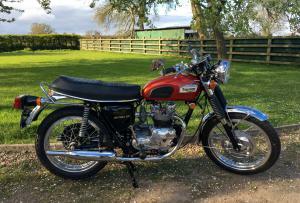 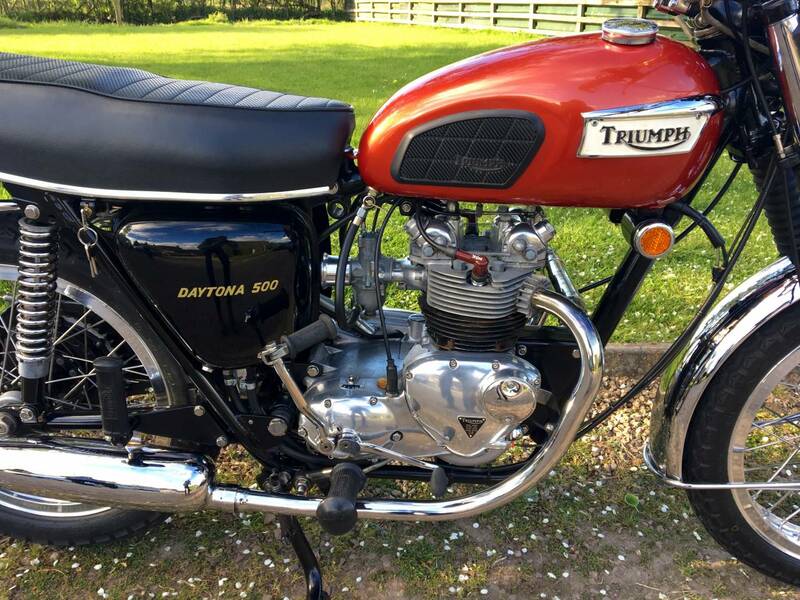 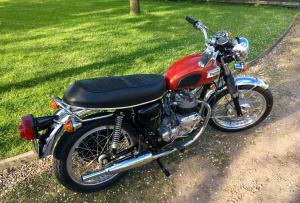 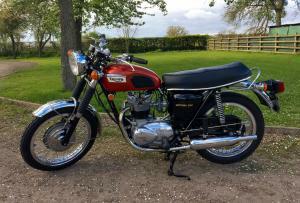 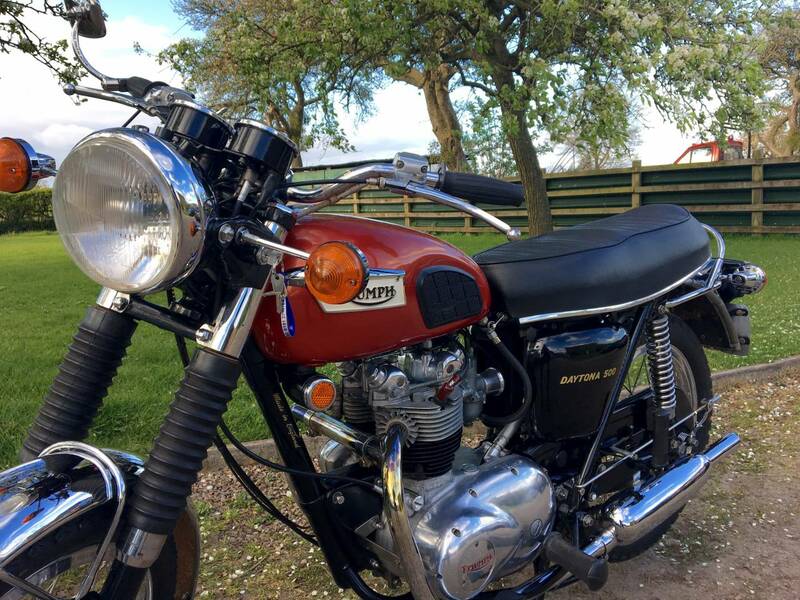 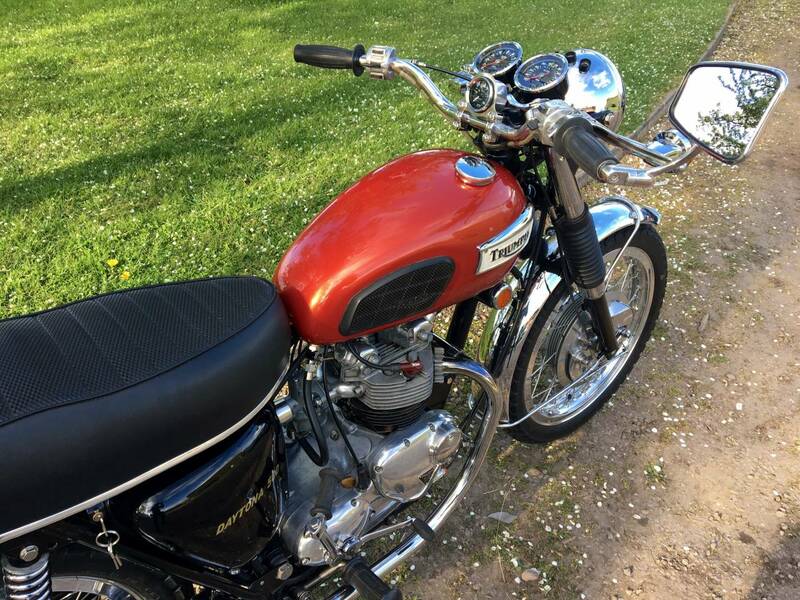 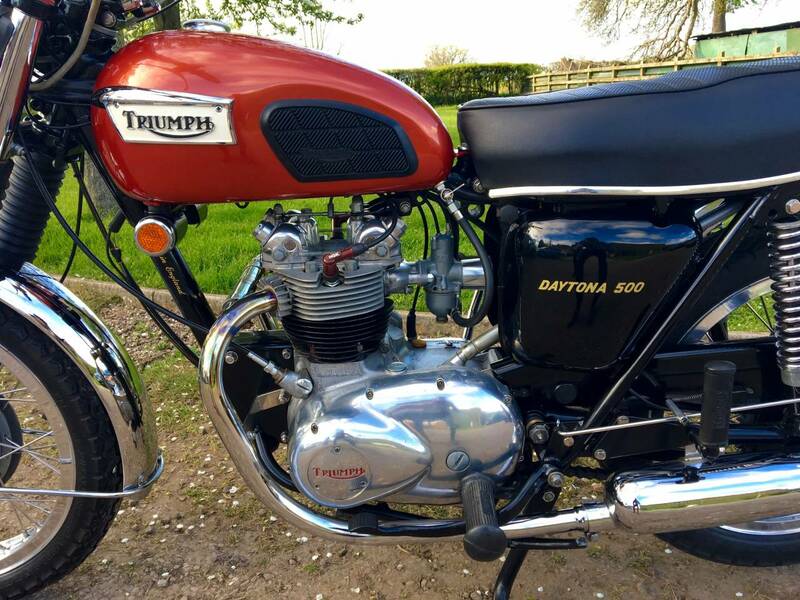 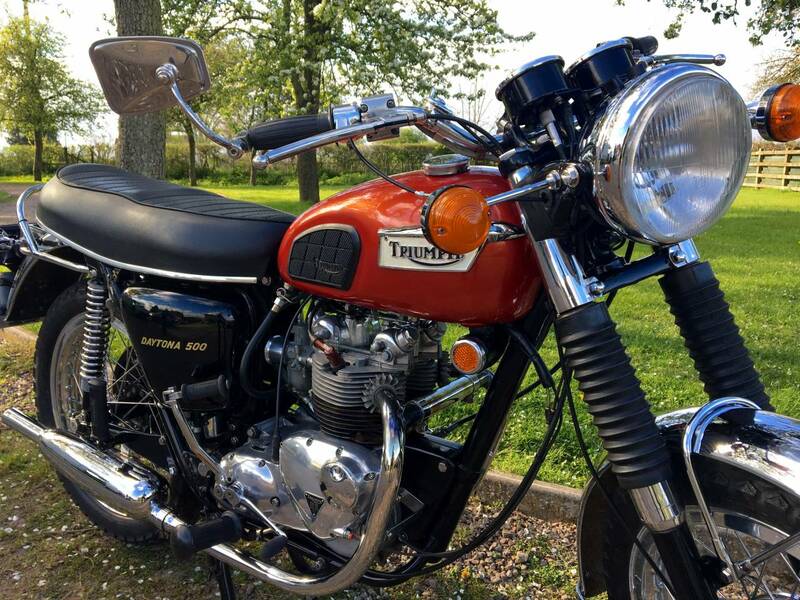 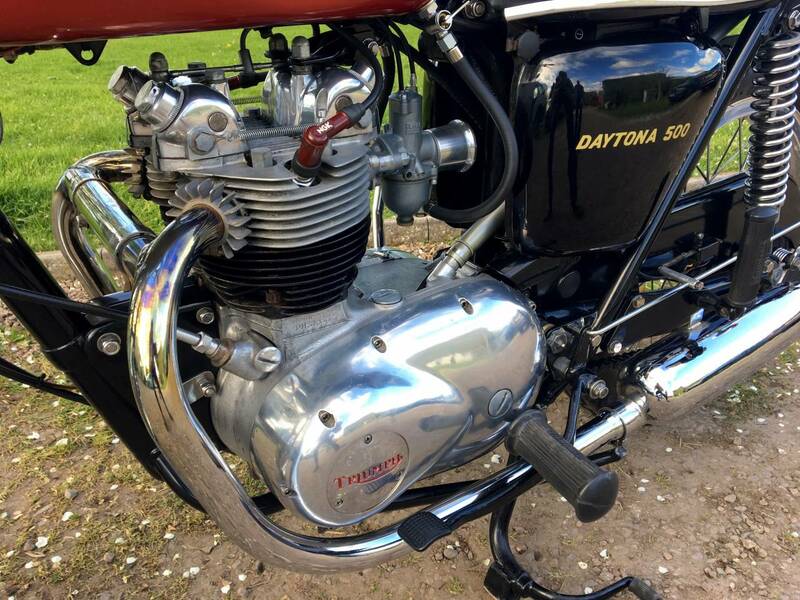 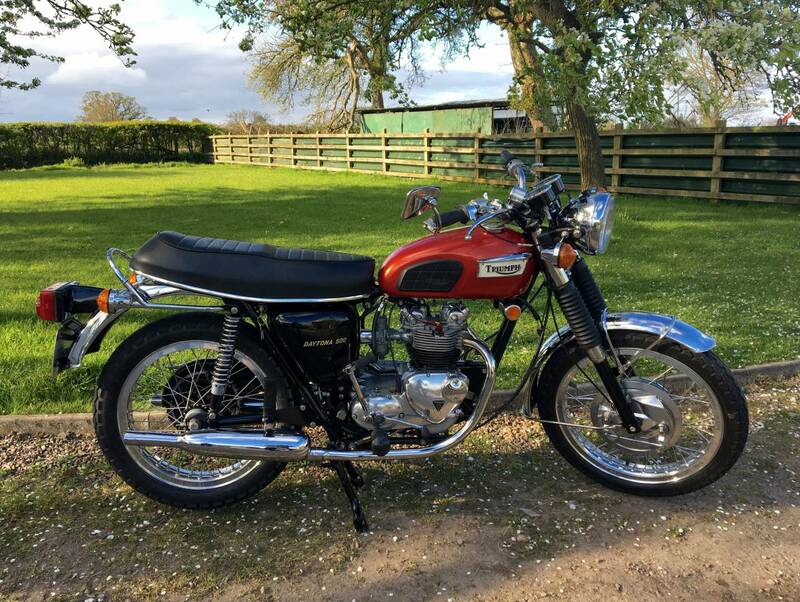 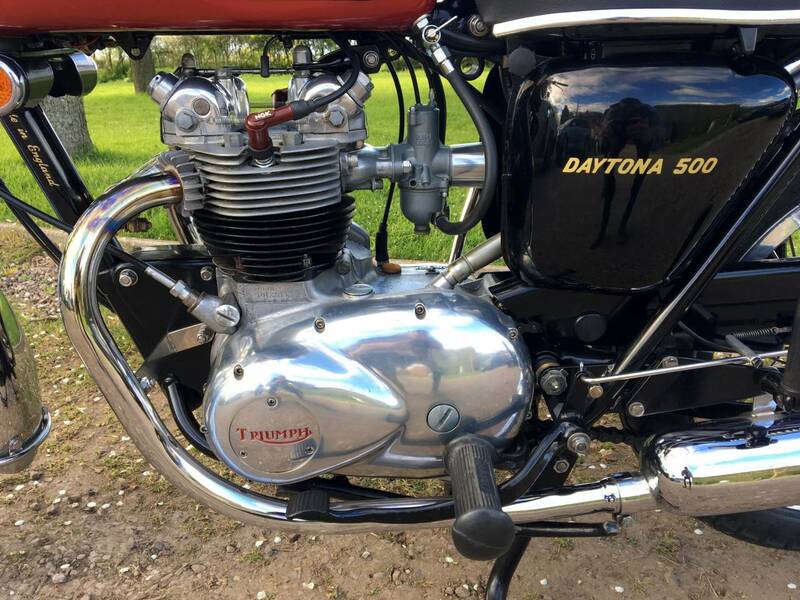 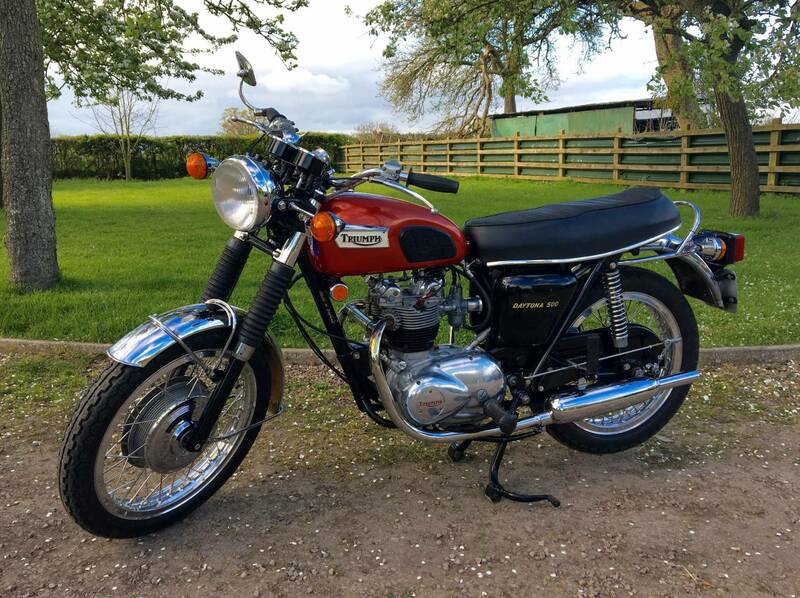 Triumph T100R Daytona 1973 , Totally Restored Mechanically And Cosmetically , To A Very High Standard , With Many Of Thousands Of Pounds Worth Of Receipts . 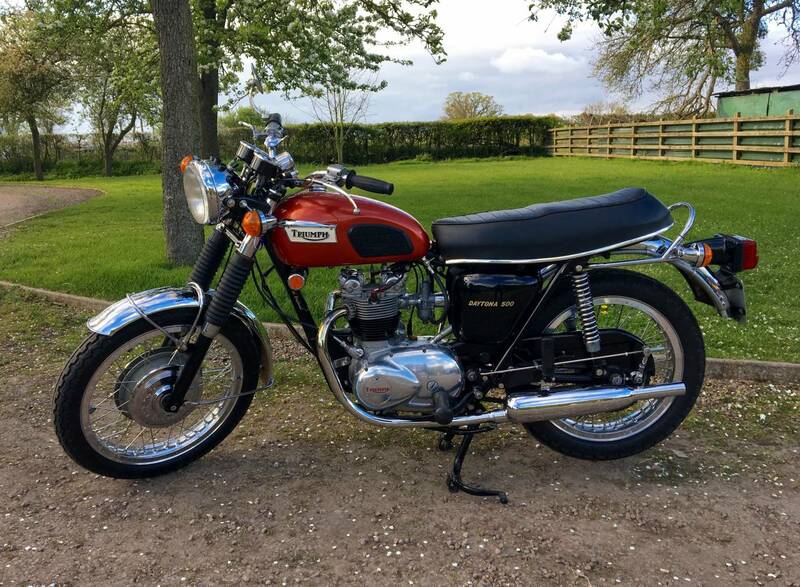 Looking Fantastic , With Matching Numbers . 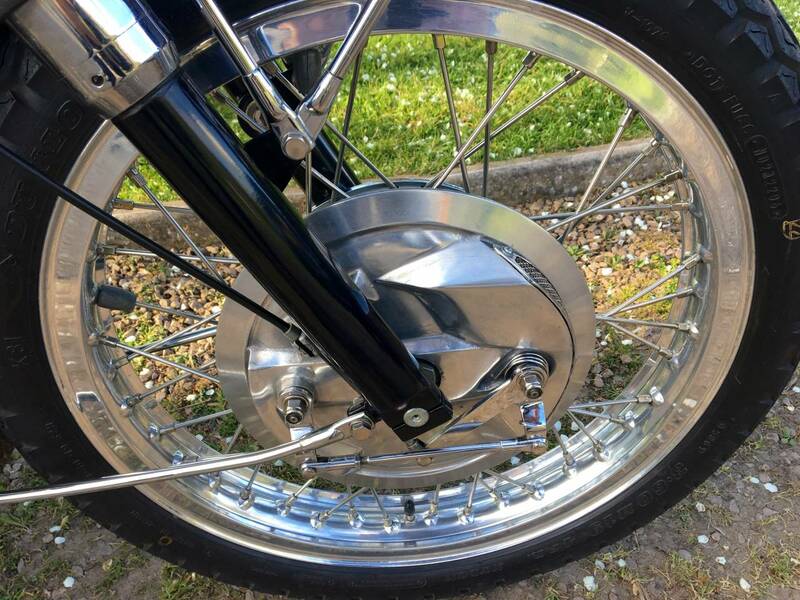 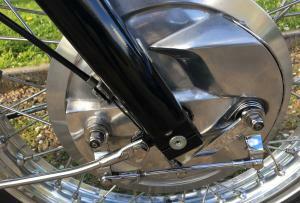 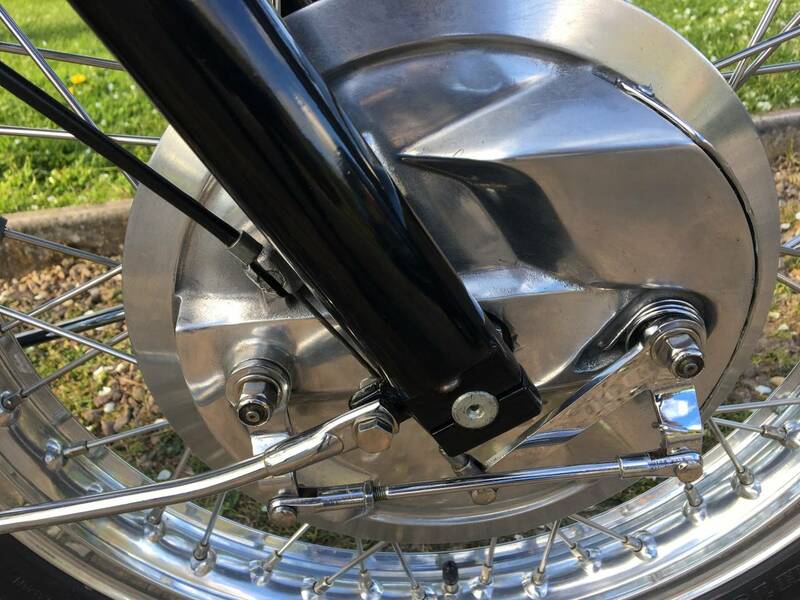 As A Late Model , It Has The Best Specification , With Twin Clocks , Twin Leading Shoe Front Brake , Chrome Guards And Indicators , With Everything Working Perfectly. 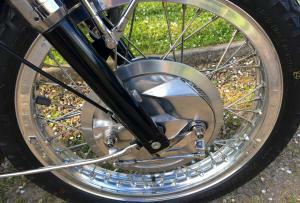 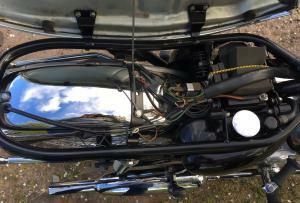 Recent work includes rebored with new pistons plus twenty thou. 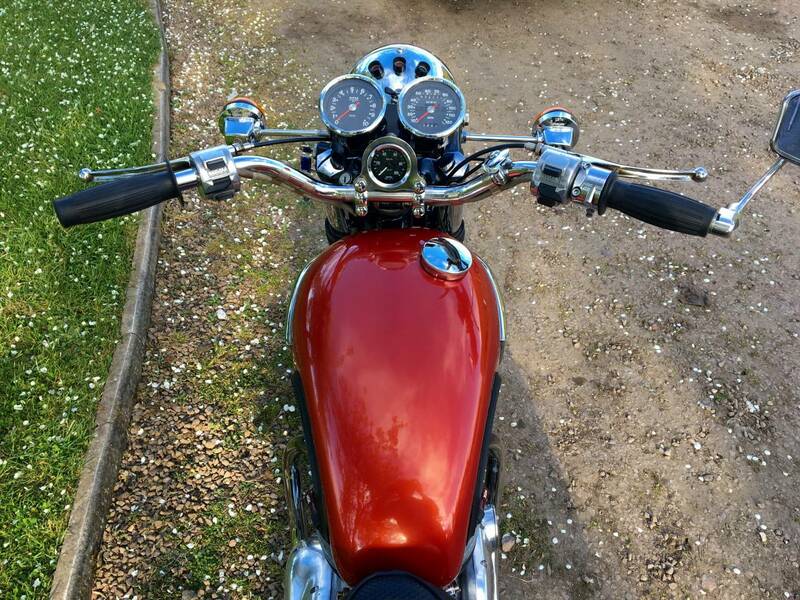 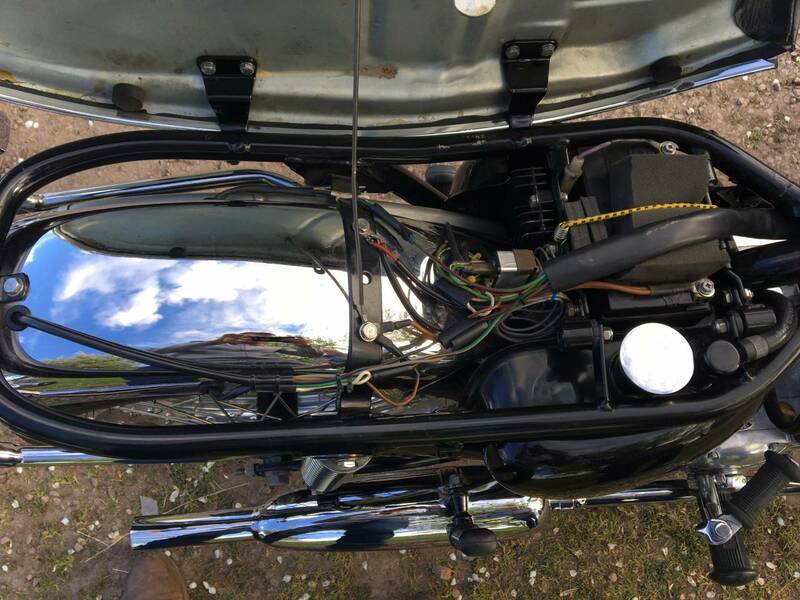 Recon to head, new swinging arm bushes and pin, new electronic ignition, the bike has covered 1800 miles on this work and running well. 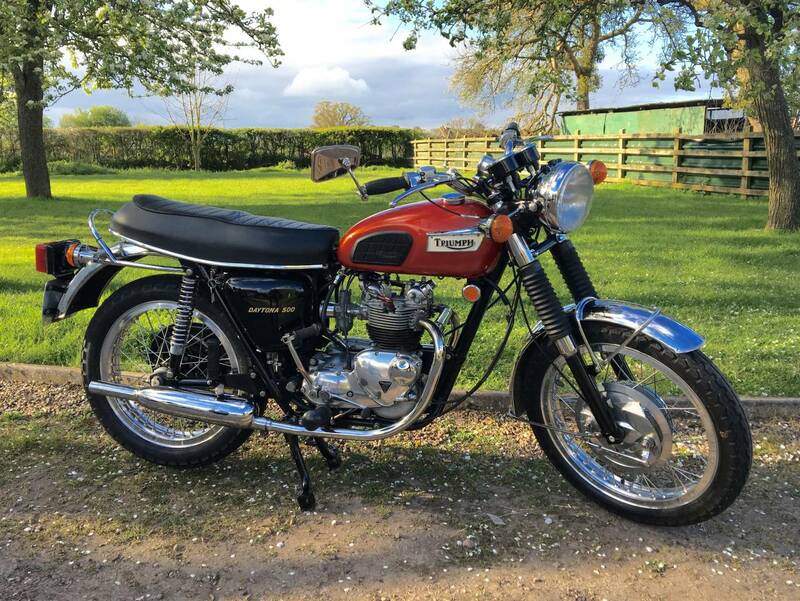 It also has canister oil filter, Morgo gear pump, seven plate clutch unit, twin leading shoe front brake and alloy wheel rims.